If early signs of the Parkinson’s disease will not be recognized, people who are already suffering from PD will only know they have PD when they will already experience trembling and shaking of their body and hands. It is then important for us to know the different signs and symptoms if a person has already Parkinson’s disease. 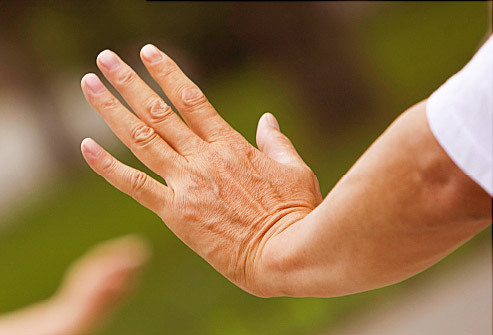 1.Resting Tremor- is the slight shakiness of the hand when it is at rest. The tremor will only stop if your hand will do another activity. 2.Another sign that should be taken seriously is trouble in sleeping or sleeping disorders.. There are two sleep problems that can be associated with Parkinson’s disease. The restless leg syndrome and sleep apnea. 3.Constipation and other bowel and bladder problems can also mean that a person has Parkinson’s disease. Constipation experience of the person with Parkinson’s disease is not the same as an ordinary constipation. Constipation caused by Parkinson disease is accompanied by a feeling of fullness even if the person has eaten very little. 4.Persistent Neck Pain is common in women. This pain is different from the common neck pain because it persists. 5.Lack of facial expression – facial muscles are affected. It has become stiff and slow which resulted in a lack of facial expression. 6.Slow, cramped handwriting, also known as Bradykinesia, is the slowing down and loss of spontaneous routine movement. 7.Changes in the voice and speech- the voice of the person is slow and lacks life and emotion. The speech also hard to understand and follow. 9.Postural Instability is a problem with the balancing. Walking in a straight line is difficult. It is also important for us to know or recognize that a member of the family, a relative or a friend is at risk or of developing Parkinson’s disease.